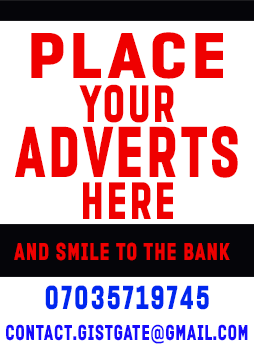 GistGate: Nigerian and World News on Celebrity, Politics, Lifestyle, Entertainment, Tech. 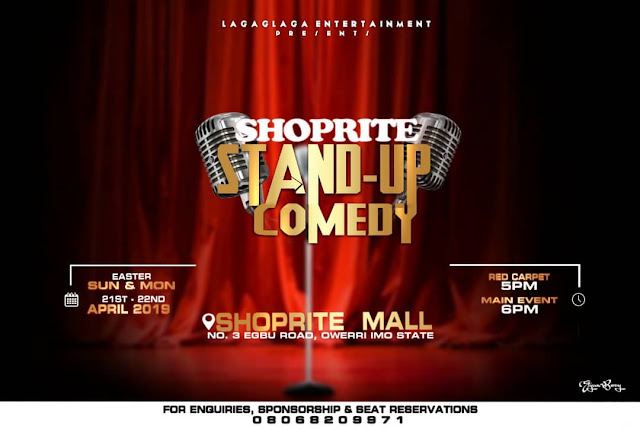 Myimsu.com: ShopRite StandUp Comedy featuring Best comedians East of Nigeria is coming this Easter! The event is bringing together the very best in the comedy art around the East including Nollywood star Egbeigwe, Prince White, Bad Mouth, Ochinawata, 2Mic and more. DJ Paky, the CEO of Lagalaga Entertainment is the forerunner of the show and as usual he has promised to shut down the city! 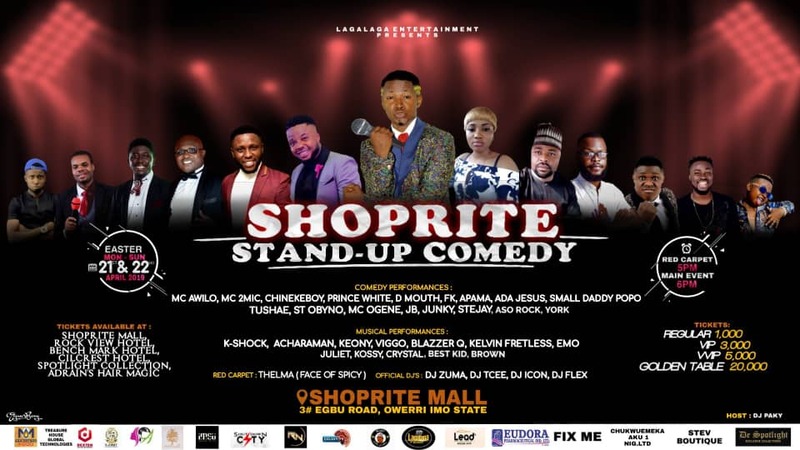 ShopRite StandUp comedy will run for 2 days; Easter Sunday and Monday 21st and 22 April, 2019. The comedy funfair will take place at the massive ShopRite Mall, 3 Egbu Road in Owerri, Imo State. Red carpet 5pm and Main event 6pm. Rockview Hotel, Cilcrest Hotel, Benchmark Hotel, Adrians Hair magic and Spotlight Collection all in Owerri. You can call 08068209971 for more enquiries.